This Featherweight Fox River knife sports a Green Canvas Micarta handle and an Elmax steel blade. The Bark River Featherweight Fox River fixed blade is light, quick, and easy to pack and carry. Its blade is long enough for quick field dressing, and is perfect for light camping chores. 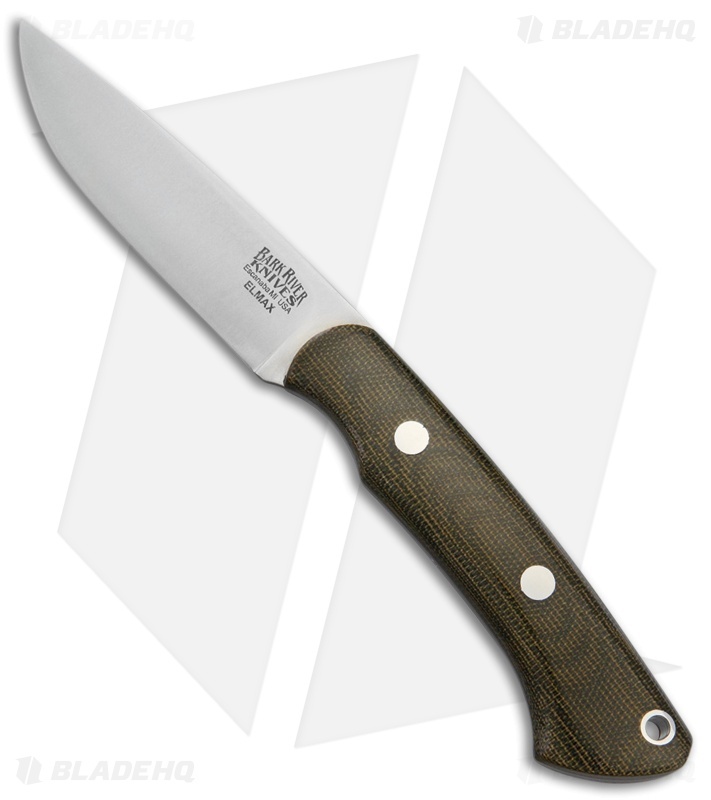 The Featherweight Fox River is an excellent knife for any small/medium game outing, or light camping trip. Includes a handcrafted leather belt sheath for easy carry.